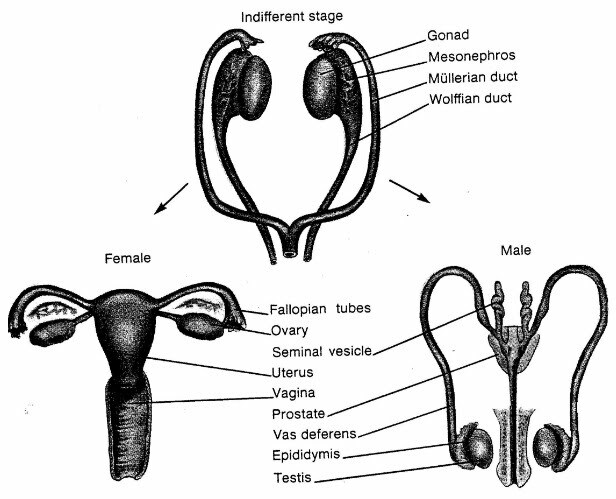 Photoreceptors are an example of receptors found across all three domains of life. 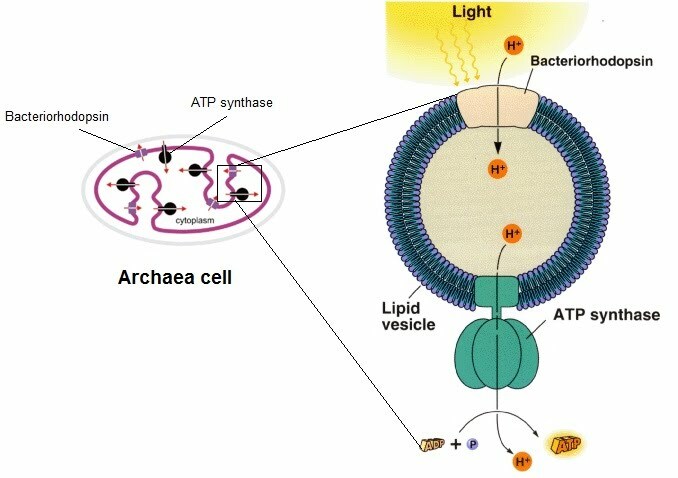 In addition to the ubiquitous use in the animal kingdom of eyes, and light-using photosynthesis in plants, photoreceptors are also central to the driving force of proton gradients in archaea for their cellular functions. 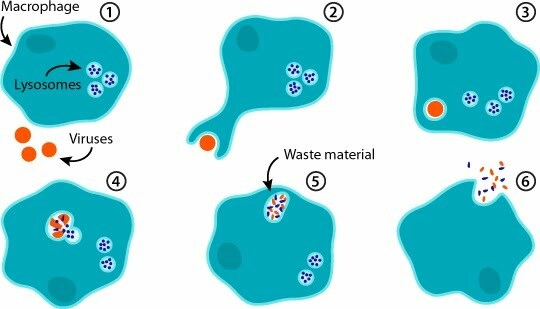 Some archaea use light to drive this process, while others use vastly diverse sources of energy e.g. metal ions. Cellular respiration produces ATP (adenosine triphosphate), the energy currency in biochemical processes. Oxygen-aided respiration – aerobic respiration – produces much more ATP than anaerobic respiration. ATP is made through ADP by adding back its third phosphate, and it reacts reversibly by losing that phosphate and releasing energy. We are talking about adenosine triphosphate breaking down into adenosine diphosphate, inorganic phosphate and energy; and the latter joining back together to make adenosine triphosphate again. ATP synthase (also known as ATP synthetase) produces ATP when hydrogen ions, H+, pass through its transmembrane channel. 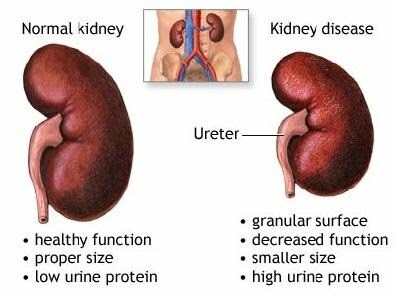 The reason they pass through is that there are more of them on one side of the semipermeable membrane than the other. This movement is called chemiosmosis. As protons (H+) are driven to cross the membrane via ATP synthase, this rotates and catalyses one ADP and one P (inorganic phosphate) into one molecule of ATP. The question, of course, is how is this higher concentration of protons maintained on that side of the membrane all the time? The answer is that proton pumps across the membrane pump protons (genius I know). These pumps are bacteriorhodopsins which are activated by photons in light. This membrane is inside the archaea. 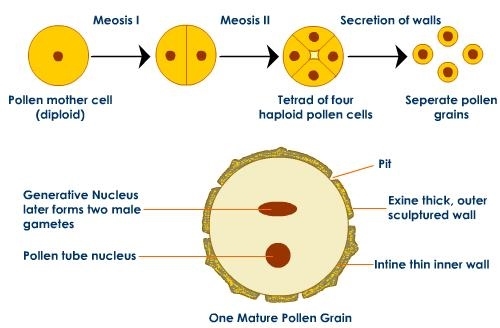 Much of the same thing happens in plant chloroplasts (say what?). During photosynthesis, ATP must be made in order to synthesise organic compounds using carbon dioxide and water. 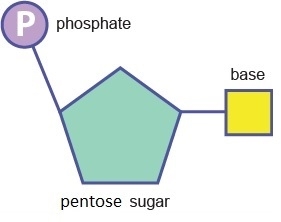 Obviously the purpose of these compounds, such as glucose, is in itself energy through ATP made during cellular respiration. Let’s assume that the ATP that will be extracted from these compounds subsequently via respiration far outweighs the ATP needed in their making during photosynthesis (remember plants, too, undergo respiration to make ATP as their key mechanism of energy release). Chloroplasts contain the photosynthetic pigments used to capture specific light wavelengths. These provide the energy that kickstarts the light-dependent reactions in the chloroplast. 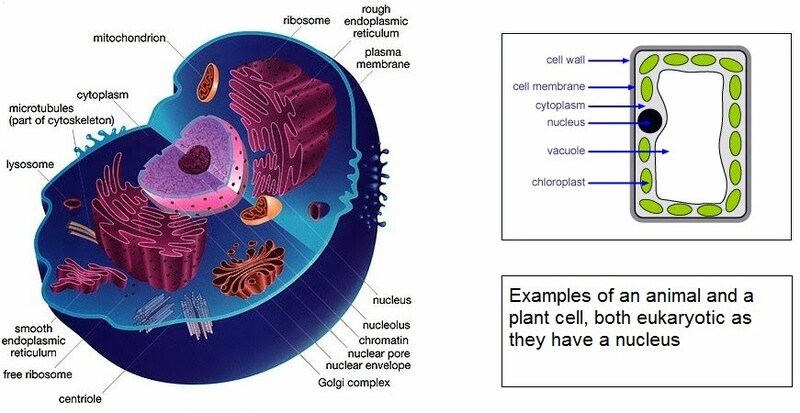 Just like mitochondria, chloroplasts have inner membranes. In chloroplasts, these form the thylakoids which are flattened stacked discs. 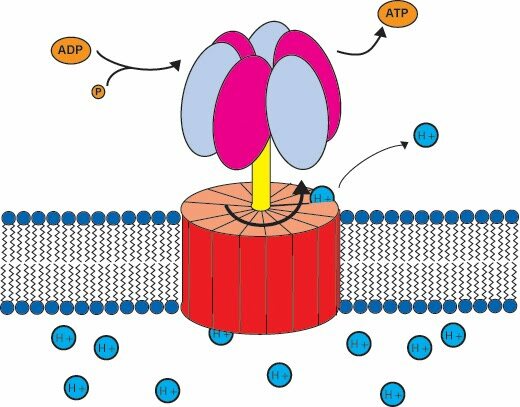 These membranes are the site of ATP synthesis during photosynthesis. The principles of chemiosmosis and the electron transport chain apply all the same. 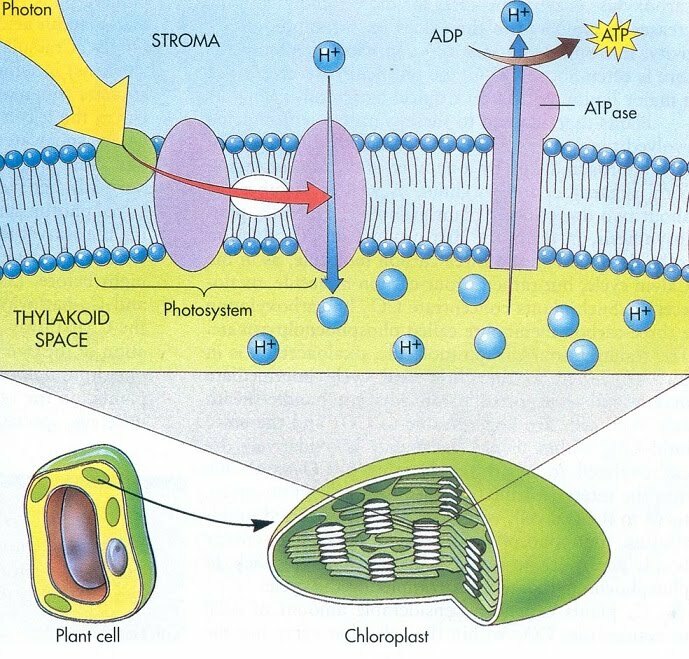 As light photons interact with the chlorophyll (green circle) on the thylakoid membrane, the electron transport chain is established starting with the highest level energy electrons making their way across photosystems. 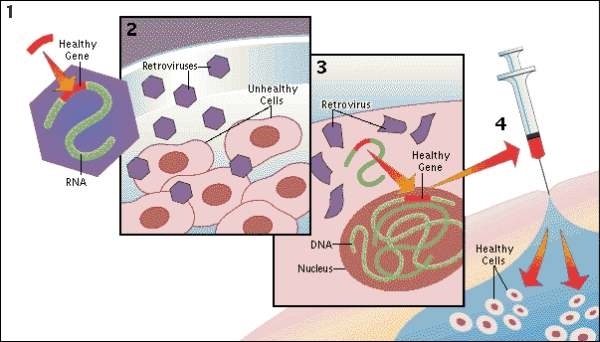 As they decrease their energy level, proteins pump protons across the membrane. This powers up ATP synthase as seen before, and results in the synthesis of ATP. The ATP in this scenario goes into making the organic products of photosynthesis, rather than straight as cellular energy for diverse processes as seen with mitochondrial ATP production during aerobic respiration. The eyeball is a magnificent contraption of brain tissue that protrudes during development to form said ball. It works to capture and process photons in light, and transmit the compressed information via the optic nerve to the visual cortex in the brain. This journey starts in the retina, which is the innermost layer at the back of the eye containing the light receptors and cells involved in this process. The retina lines the inside of the eyeball. The macula is the high-density photoreceptor area of the retina found towards the back of the eye. The structure of the retina, width-wise, contains several types of cell. These are interconnected one to the next towards the optic nerve side, as well as horizontally connected amongst them. 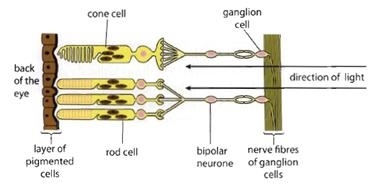 Notice the “vertical” connections from the rods and cones to bipolar cells (lime) to ganglion cells (purple/red), as well as the “horizontal” connections from amacrine cells to multiple ganglion cells, and from horizontal cells to multiple rods and cones. The rainbow beam represents the entry and direction of light. 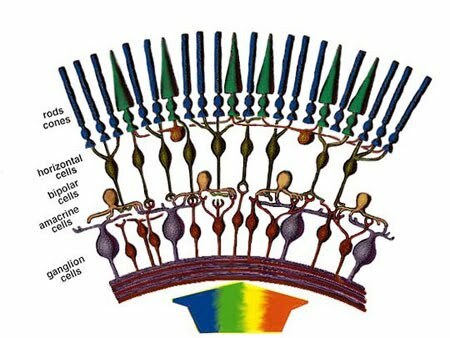 The signals transmitted from the rods and cones travels down this pathway of multiple cells, as it is being processed before reaching the brain’s visual cortex via the optic nerve. Some of these cells, such as the ganglion and amacrine cells, are able to generate action potentials, while the other only transmit them. 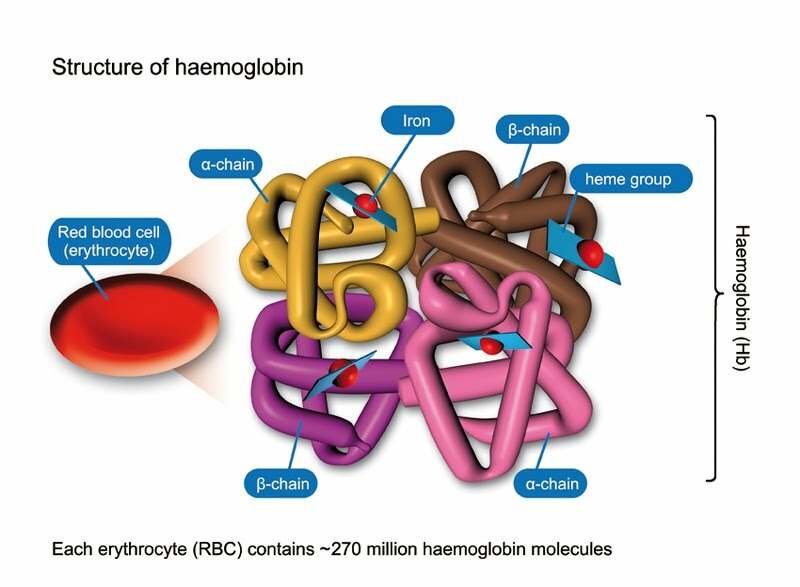 They are the two main specialised eye photon receptors and differ in their distribution and sensitivity. Rods are extremely sensitive in low light and can perceive as few as 6 photons, while cones sense more abundant light and therefore can identify different colours. The signal starts in the rods and cones. They contain photoreceptors such as rhodopsin which chemically shift under different light environments. Rods are responsible for low-light vision and hence contain rhodopsin, which is very sensitive to light (cones contain photopsin). In daylight, it is completely photobleached and it can take half an hour for a human eye to chemically process it back to original functionality under low light (adaptation). The photons in light initiate a response from rhodopsin that cascades down an enzyme pathway (G-coupled protein) to result in membrane depolarisation and the generation of an electrical signal. 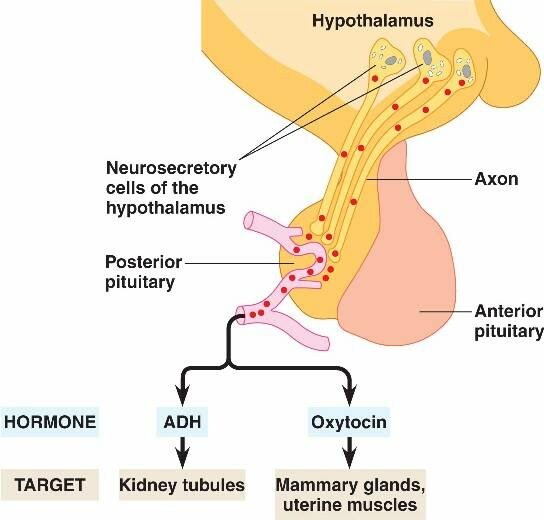 Have a look above: action potentials are generated by polarised membranes as a result of light entering the eye and causing a chemical reaction in the respective cells. 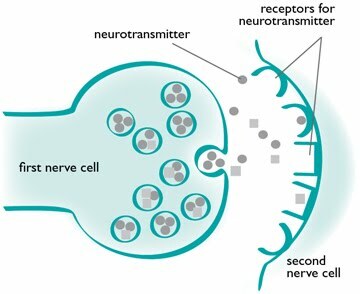 Note the cone cell is connected to a single neurone while a few rod cells share the same neurone. 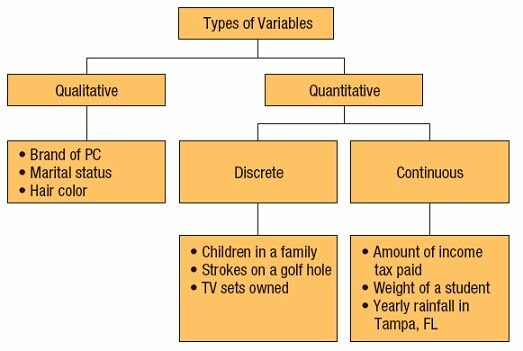 Why could this be? 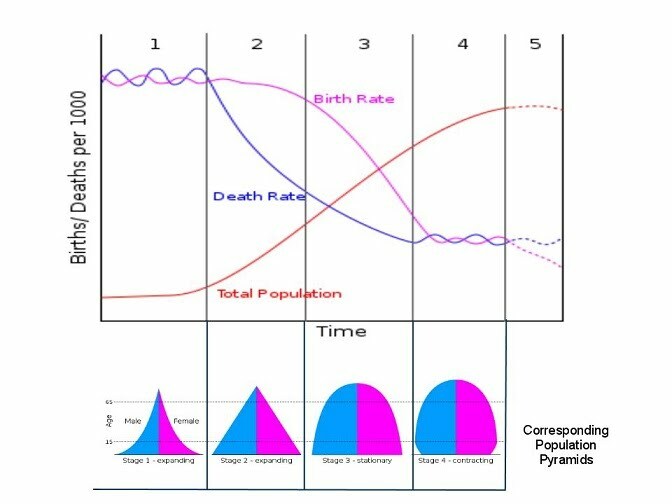 When very little light enters the eye, it isn’t sufficient to generate an action potential per rod cell. So the cumulative light from a few rods creates a response great enough to trigger an action potential in one neurone. The downside of this arrangement for rod cells is that visual acuity, that is the ability to tell two points apart, decreases.